PASADENA, Calif. -- Paul Aguilar scored Mexico's second goal of extra time on a stunning volley in the 118th minute, and Mexico earned a berth in the 2017 Confederations Cup with a 3-2 victory over the United States on Saturday night. Aguilar rocketed his shot past Brad Guzan after Raul Jimenez passed the ball over his head and into the penalty area, putting a thrilling finish on the latest chapter of this rivalry at the sold-out Rose Bowl. 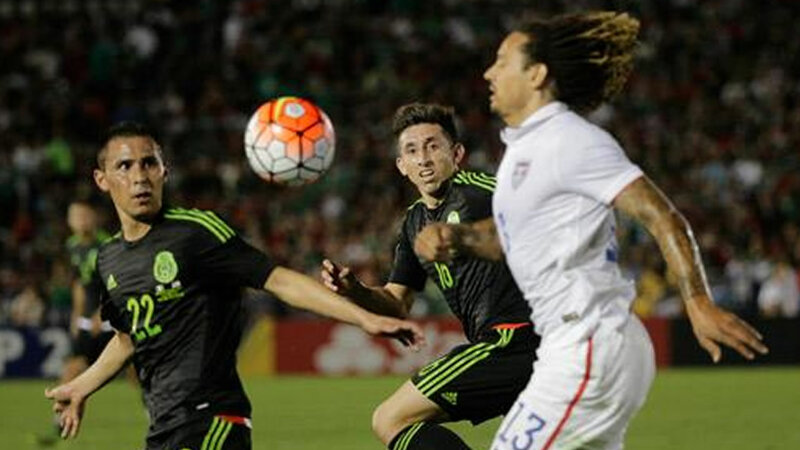 Oribe Peralta scored a tiebreaking goal in the sixth minute of extra time for Mexico. Bobby Wood evened it in the 18th minute of extra time for the Americans, who lost to Mexico for the first time in seven games under coach Jurgen Klinsmann. Javier Hernandez scored an early goal as Mexico beat the U.S. for the first time since the 2011 CONCACAF Gold Cup final.